Since 2005, we have been sending and accepting students and academic staff from various universities within KA103 and KA107 Erasmus+. So, we want to celebrate with hosting you in our event. We would be happy to welcome colleagues from all departments and other associated fields of work. Both the host organization and the event participants will give a presentation about their institutions, or present ideas, concepts or works of their home institutions which will be analyzed and discussed in the framework of interactive workshops. 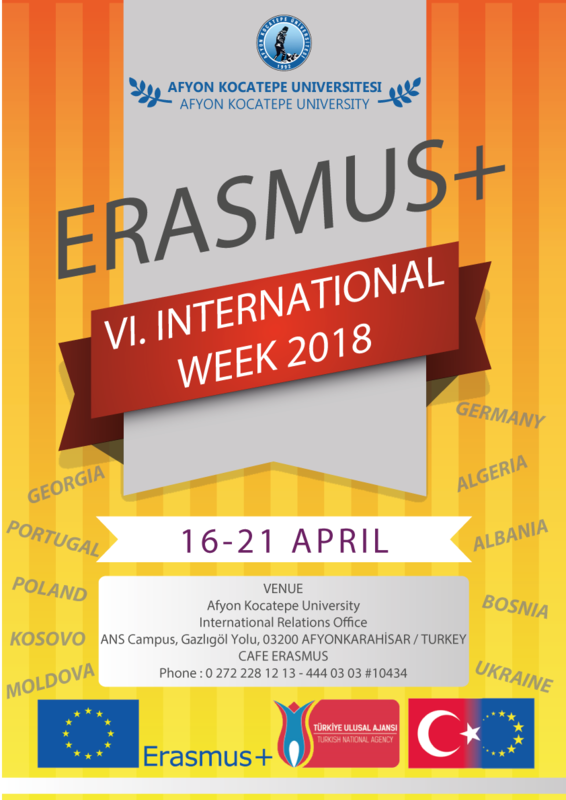 Actually, the presentation topics of 6th Erasmus International Week should be mainly about international students’ adaptation to your university. Therefore, we would highly appreciate presentations from the participants. The language of the International Week is English.